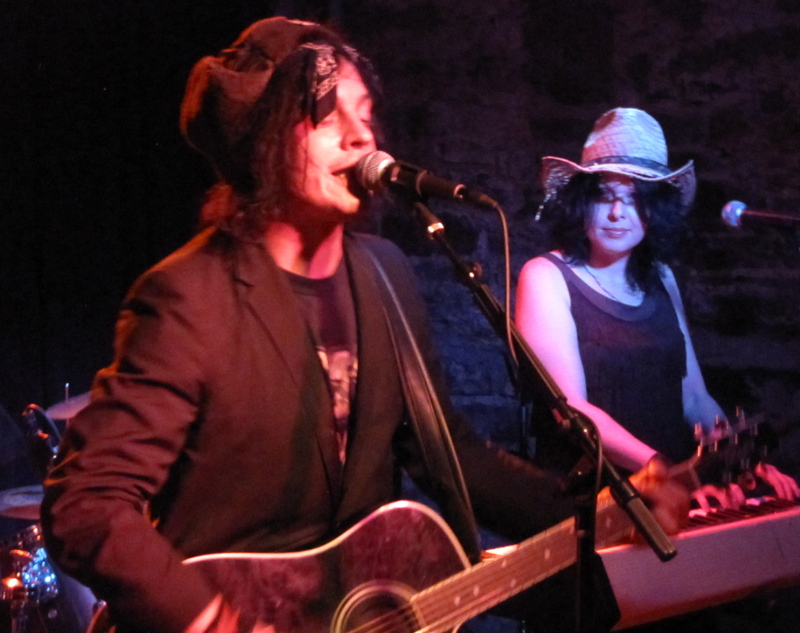 Marah’s Dave Bielanko and Christine Smith returning to New York for benefit show | Will You Miss Me When I'm Gone? In recent years, the wild, Philadelphia-born rock band Marah has stripped down. 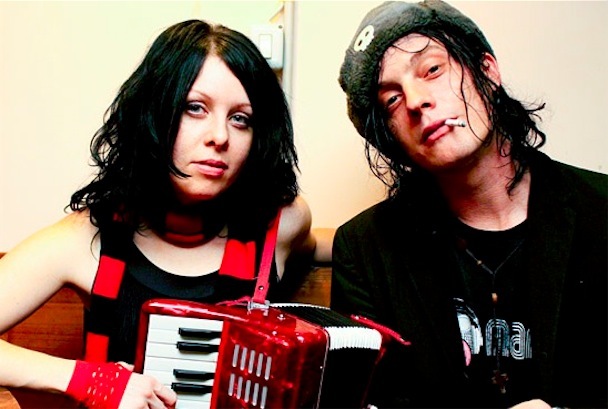 Essentially, it’s now just Dave Bielanko and Christine Smith at the core, performing as a duo at time and recruiting bandmates for bigger shows. After a stint in Brooklyn, they’ve have moved into an old farmhouse in the wilds of central Pennsylvania, with a phone line for incoming calls only. They’ve been working on a couple of records, about which more in our next post. But for now, let’s focus on this week. Marah is coming out of wilderness to do a few shows, one of which is this Sunday, April 29, at The Bowery Electric at 327 Bowery in Manhattan. They’re performing on the first night of two-evening benefit concert for a friend who took her own life last year and left two teenage children behind. It looks like this benefit will be a real blast, with a lot of other amazing artists. It’s all to raise money for the children of Lucinda Gallagher, a 37-year-old super music fan from Hoboken who took her life in December. Lucinda was part of a close community of friends, musicians and music lovers. Sadly, she took her own life last December leaving behind two young teenagers who are both gifted budding musicians. 100% of the proceeds will be placed into a trust for the children. Our friend Harry Greenberger asked us to do this benefit and we are very glad to be a part of it with Jesse Malin and other great artists. Aside from Marah and Malin, performers include HR (Bad Brains), Tommy Stinson (The Replacements / Guns N Roses), Alan Vega (Suicide), Jimmy Gnecco & Dave Milone (Ours), James Maddock, Willie Nile, Jim Boggia, Aaron Lee Tasjan, Petter Ericson Stakee (Alberta Cross) as well as special guests. Click here to listen to Greenberger and Tasjan talk with WBJB-FM host Jeff Raspe (aka UnkaJeff) about Lucinda and the benefit. An auction and raffle are also part of the proceedings, offering items donated by Mary Louise Parker, Fender, Bob Gruen, Danny Clinch, The Morrison Hotel Gallery and others. Sunday, April 29, doors at 6 p.m. Even if you can’t make it on Sunday to catch Marah in action, please try to make it Monday. You’ll have a great time while supporting a wonderful cause. This entry was posted in Benefit, Blues, Concerts, Country, Exclusive, Folk, Interview, Music, News, Pop and Rock, Recordings and tagged Aaron Lee Tasjan, Alan Vega, Alberta Cross, Bad Brains, benefit, Bob Gruen, Christine Smith, Danny Clinch, Dave Bielanko, Dave Milone, exclusive, Fender, Harry Greenberger, Hoboken, HR, interview, James Maddock, Jesse Malin, Jim Boggia, Jimmy Gnecco, Lucinda Gallagher, Marah, Mary Louise Parker, obituary, Petter Ericson Stakee, suicide, The Bowery Electric, The Madison Square Gardeners, The Morrison Hotel Gallery, Tommy Stinson, Wille Nile. Bookmark the permalink. Reblogged this on Just Another Folk Singer Online [archive].